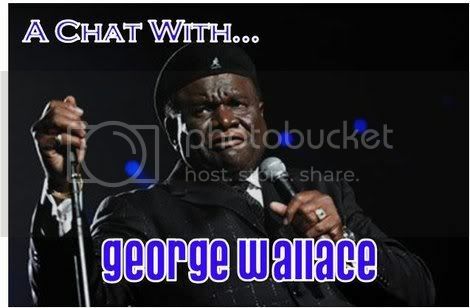 George Wallace has been doing stand-up comedy since the average Premium Hollywood reader was in elementary school…or possibly even longer than that. (You make the call: his first TV appearance as a stand-up was on “The Mike Douglas Show,” and it’s fair to suspect that he’d already been doing comedy for a few years before that.) Once in awhile, however, he takes time out of his residency at the Flamingo in Las Vegas to do a TV appearance or pop up in a movie. Wallace took a few minutes to talk to Premium Hollywood in connection with a guest spot on his buddy Byron Allen’s myNetworkTV series, “Comics Unleashed,” which airs tonight at 9 PM EST, and we asked him about his stand-up, his memorable appearance on “Seinfeld,” and several other topics of note. In return, he provided more than enough laughs to remind us why he placed in Comedy Central’s list of the Greatest Stand-Ups of All Time.